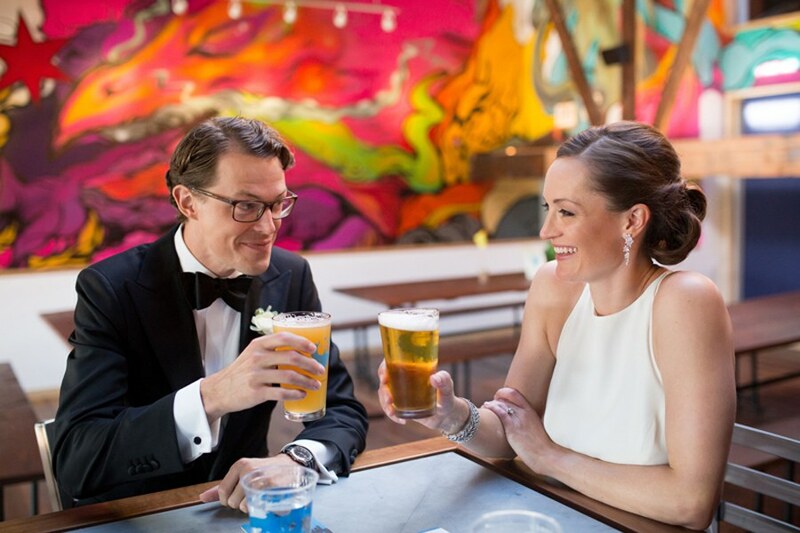 When we found out that Christina + Brad had met working on political campaigns in DC, recently moved to Detroit Rock City AND were having the very first wedding at Baderbrau Brewery in Chicago, we knew we were just going to LOVE this couple and this wedding. We were totally right. Add with on-trend greenery and florals, the chillest new venue in town, a kickass band, plus THAT DRESS, you have the makings of a killer wedding.